The Sustainable Cities Index from ARCADIS shows that among the top ten cities in the list, most are from Europe, while there are a few cities which are from Asia. Strangely, not a single city from North America makes it to the top-ten list. This is the first installment in the series of cities/countries that are most active in the renewable energy (RE) sector. In my next article, I will be covering the cities around the world that have pledged to be 100% dependent on RE sources in the coming few years. People: This sub-index considers factors such as health, transport infrastructure, work-life balance, education, etc. Planet: This index evaluates cities on the basis of their energy consumption and renewable energy share, greenhouse gas emissions, recycling rates, etc. Profit: In the profit sub-index factors from the business perspective such as the city’s standing in global economic networks, GDP, property, and living costs are taken into consideration. Here are the 10 best sustainable cities as mentioned in the Sustainable Cities Index and their capabilities in the renewable energy sector. #1. Frankfurt, Germany: The self-proclaimed ‘Green City’, Frankfurt has proactively taken actions to improve its sustainability for years. This city has been continuously cutting down on its carbon emissions by 10% for every five years. It is expected that the city of Frankfurt will show a 50% cut in its carbon emissions by 2030. Using green waste and waster timber, the Frankfurt-Fechenheim biomass power station delivers electricity for around 20,000 households along with heat for industry and commerce (source: frankfurt-greencity.de). #2. London, United Kingdom: London has been actively seeking to reduce greenhouse gas emissions and increase green spaces for many years. Under the Climate Change Action Plan by Mayor Livingstone, the city will switch 25% of its power to locally-generated and better-efficient sources by 2025. #3. Copenhagen, Denmark: Copenhagen is known for its environmental policies and planning. The city in Denmark has pledged to be carbon neutral by 2025. Furthermore, Denmark boasts of the largest wind turbine industries in the world and generates a substantial amount of wind energy, out of which around 20% is used by the country itself. #4. Amsterdam, Netherlands: Amsterdam has pledged to reduce its carbon emissions by 40% till 2025, as compared to the 1990 figure. Amsterdam is working towards a sustainable future by focusing on energy savings, increasing sustainability and efficient use of fossil energy, and maximizing the use of sustainable energy. #5. Rotterdam, Netherlands: At present, there exists a total of 200 MW installed wind turbine capacity in the port of Rotterdam. This represents around 10% of the overall wind energy produced in the country (source: portofrotterdam.com). Moreover, the city is showing strong efforts in the sector of bio and solar energy. #6. Berlin, Germany: Berlin’s Environmental Zone in the city’s core only allows vehicles that meet specific emission standards. Furthermore, the city and its surroundings boast the highest density of environmental technology companies, clean technology workers, and research institutions in the country (source: Berlin Business Location Center). #7. Seoul, South Korea: The private and public energy sectors in Seoul are actively participating in several projects to boost their energy production from renewable sources. To support the One Less Nuclear Power Initiative, the government in Seoul is encouraging private investment in solar PV generation by renting unused public facilities. In addition to this, the city government has also signed agreements with companies and civic firms to build additional solar PV power stations that will feature an output of 250 MW. #8. Hong Kong, China: Wind and solar energy, in particular show much growth potential in Hong Kong. In 2000, a study commissioned by the department of Electrical and Mechanical Services states that solar power, wind energy, and energy from waste have the potential for wider use in the city. Currently, there are projects that are moving towards the development of renewable energy use and enhancing its effectiveness. #9. Madrid, Spain: Though Madrid made it to the top-ten list of sustainable cities, its position is greatly challenged. Economic crisis along with years of disastrous policies have resulted in massive decline of renewable energy sector in Madrid. #10. Singapore, Singapore: In the first half of 2014, the total grid-installed capacity of PV systems in Singapore crossed the 14.6 MWac mark and spread over 468 installations across the island (source: ema.gov.sg). In March 2015, REC from Singapore, a leading global provider of solar power solutions along with PLE announced a strategic partnership to deliver a new hybrid solution that will encourage consumers to adopt solar power. These were the top 10 sustainable cities. The bottom 10 on the Sustainable Cities Index are Rio de Janeiro (Brazil), Doha (Qatar), Moscow (Russia), Jeddah (Saudi Arabia), Riyadh (Saudi Arabia), Jakarta (Indonesia), Mumbai (India), Wuhan (China), New Delhi (India), and Nairobi (Kenya). 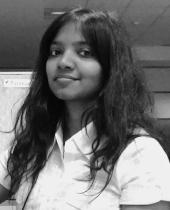 Pradhnya is a creative and self-driven writer with over six years of experience. Currently, she works as a Senior Content Writer, with a focus on the renewable energy domain, for Transparency Market Research based in U.S. Through her writing, she sheds light on clean alternative energy projects.